East Alvarado Historic District is aptly named. 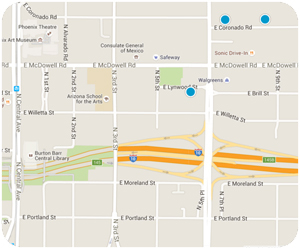 You’ll find it along one block of East Alvarado Road in central Phoenix, between 3rd Street and 7th Street. There are only 30 homes in this one block residential district, making East Alvarado one on the smallest historic districts in Phoenix. All the homes in the East Alvarado Historic District were built between 1937 and 1942 with the exception on one early ‘spec home’ built in 1930. It was promoted as a model home development at the time, an example of the "streetscape concept" promoted by the FHA to create a uniformity of design. Even so, each home on East Alvarado Road is totally unique from its neighbor. The homes are Early Ranch style in several variations, including Monterey-influenced and French Provincial. East Alvarado also has several homes that are simplified Period Revival styles, a nod to the older, larger homes in the Los Olivos Historic District just south and the Alvarado Historic District just west. The result in East Alvarado is a charming block of homes, each with its own unique personality. With an average of 1700 square feet, the homes in East Alvarado are a bit roomier than the typical historic Ranch home in Phoenix. These usually have 3 bedrooms and they often have two baths. You can also expect to find a detached garage at the back of the property. 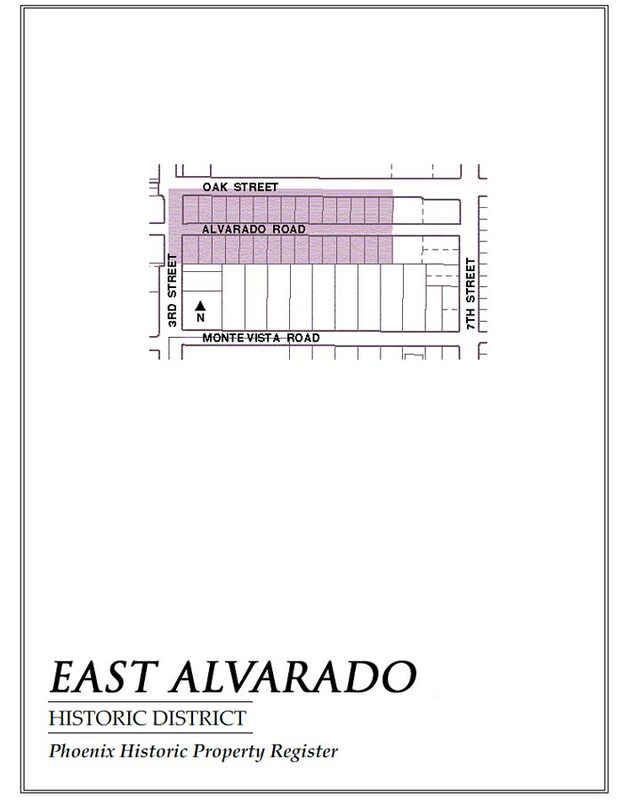 East Alvarado Historic District is an easy walk to Central Avenue and the light rail line. It’s also a short bike ride down 3rd Street into downtown Phoenix. When you’re hungry, the Main Ingredient and the Living Room at Sheridan Square or MacAlpine’s Soda Fountain are right there on 7th Street. If you can’t find your historic ranch-style home in East Alvarado (they don’t come up for sale often) you might also like the homes in the Windsor Square Historic District near Central & Camelback.